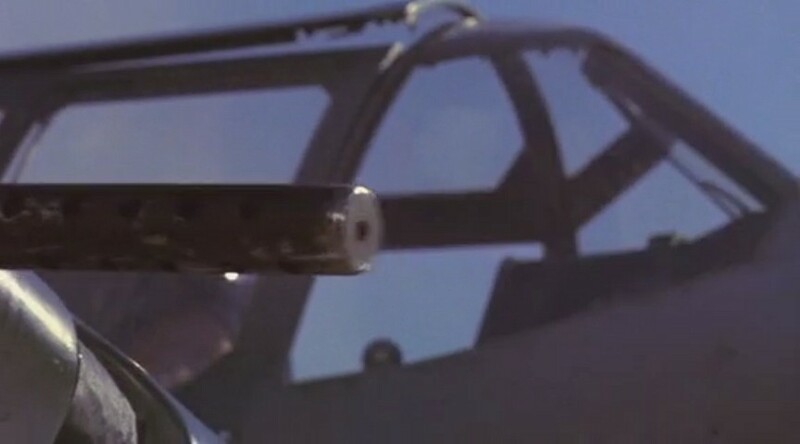 The movie Aces: Iron Eagle III (Louis Gosset, Jr. 1992) includes scenes of airshow "dogfight" demonstrations using "paint bullets". 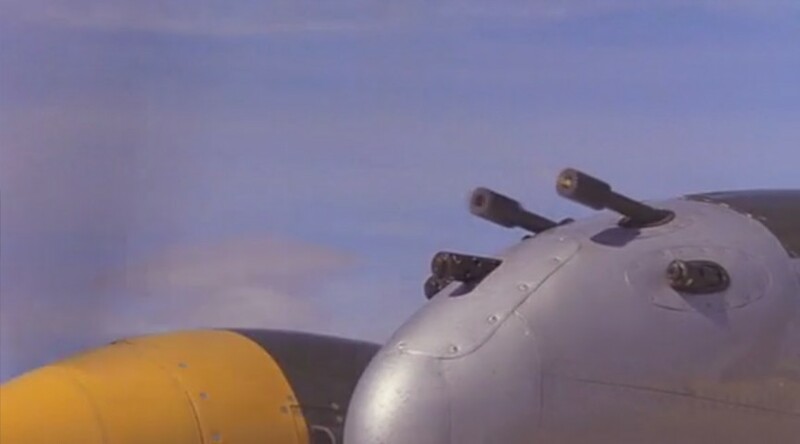 (in reality a North American T-6 Texan) and fires a burst from his nose-mounted .50 caliber machine guns. The shots hit the tail of Horikoshi's Zero- and turn out to be just "paint" bullets. Horikoshi turns on his smoke ejector and lands. Palmer's (Christopher Cazenove) Supermarine Spitfire, and fires a burst from his 7.62mm guns. 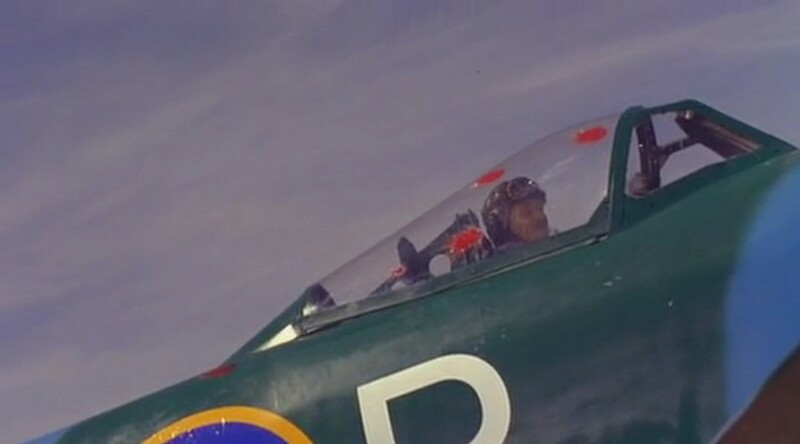 And Palmer's Spitfire, too, is struck by "paint bullets". 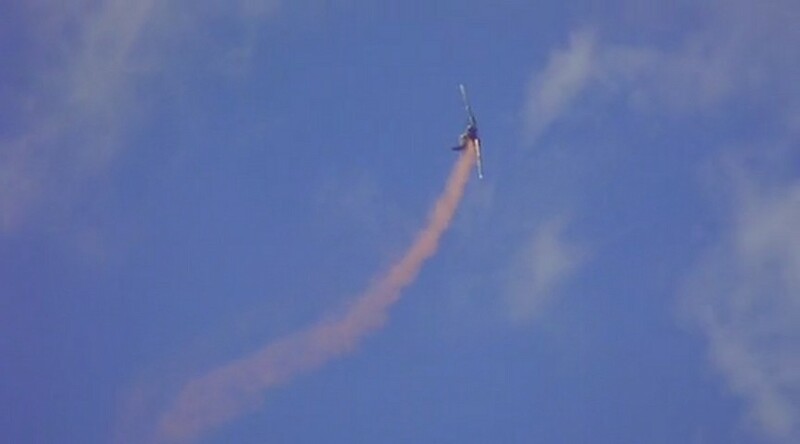 Palmer turns on his smoke ejector, does a loop, and lands. Leichman's guns, as he chases Chappy. 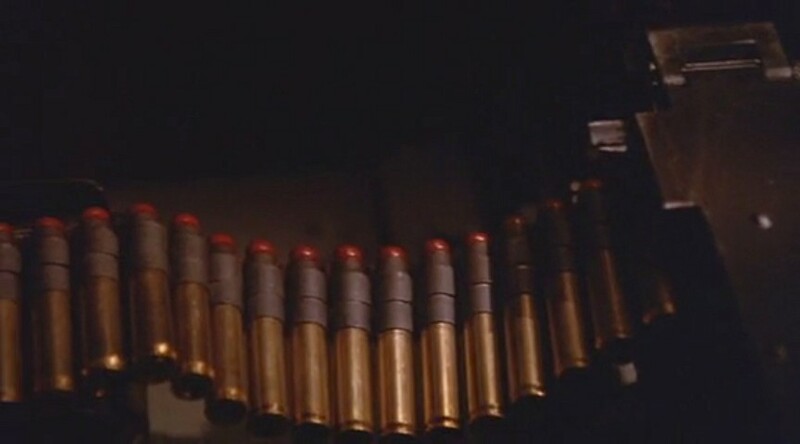 Ominously, the nonlethal paint bullets give way to live full-metal-jacket rounds. 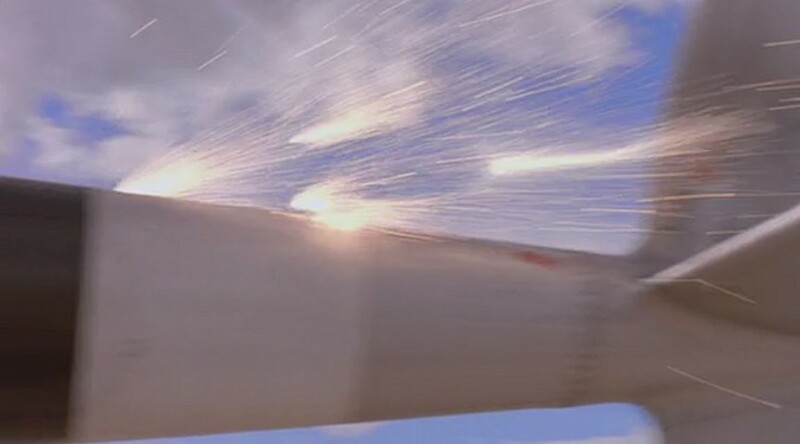 Leichman fires a second burst, with the live rounds striking Chappy's right tail spar, and setting his engine on fire. 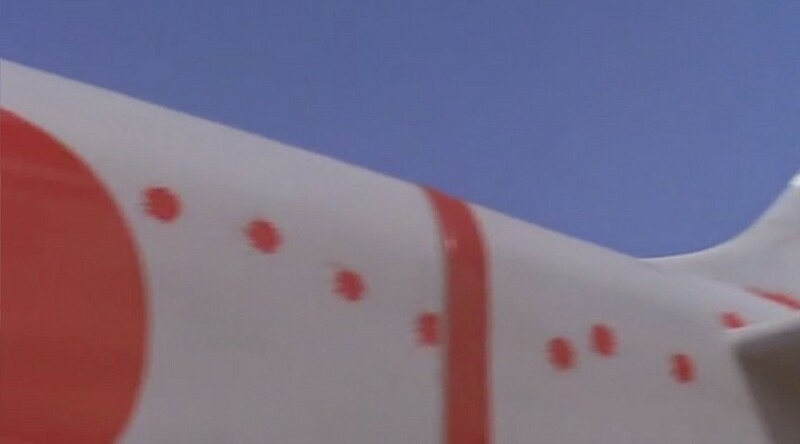 While neat effects, "paint" bullets simply can't work that way, and even if they did, they'd be very dangerous to actually fire at another airplane. 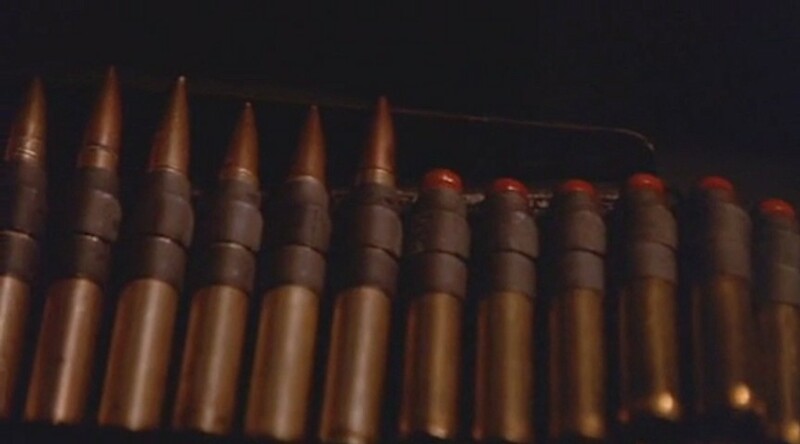 to fire these spark balls, although there is a commercial one made specifically for SFX called the Sweeney Gun.